Trent finally started crawling out of his crib, so Daddy converted it to a day bed on Saturday. Trent is proud of his big boy bed. He is only wearing diapers at night. Last night he woke Mommy up at 2:17 a.m. because he was wet. He brought a whole bag of diapers down with him and asked to be changed. 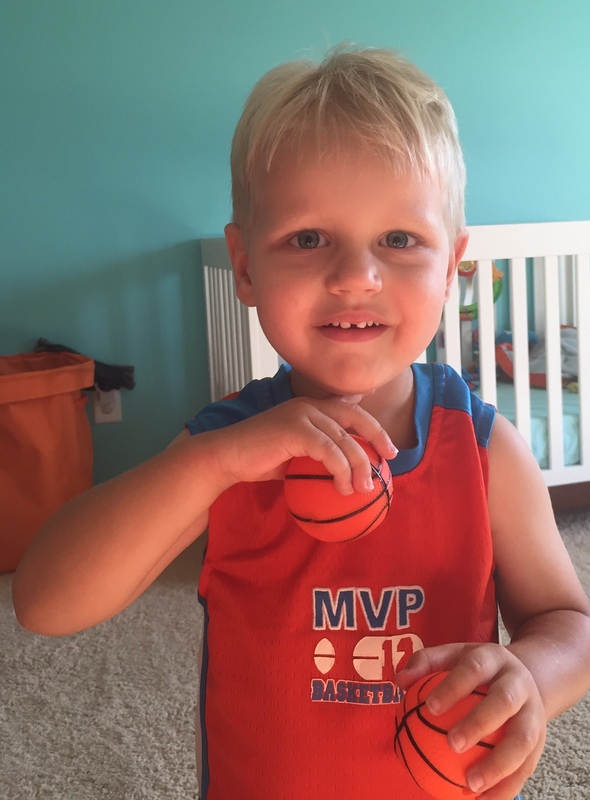 Trent started playing with some toy basketballs yesterday and insisted that Mommy take him to his room to change into a basketball shirt. Last Tuesday was my first day of kindergarten. I only went for one day. My first full week starts tomorrow. I like my teacher and the school so far, better than preschool. 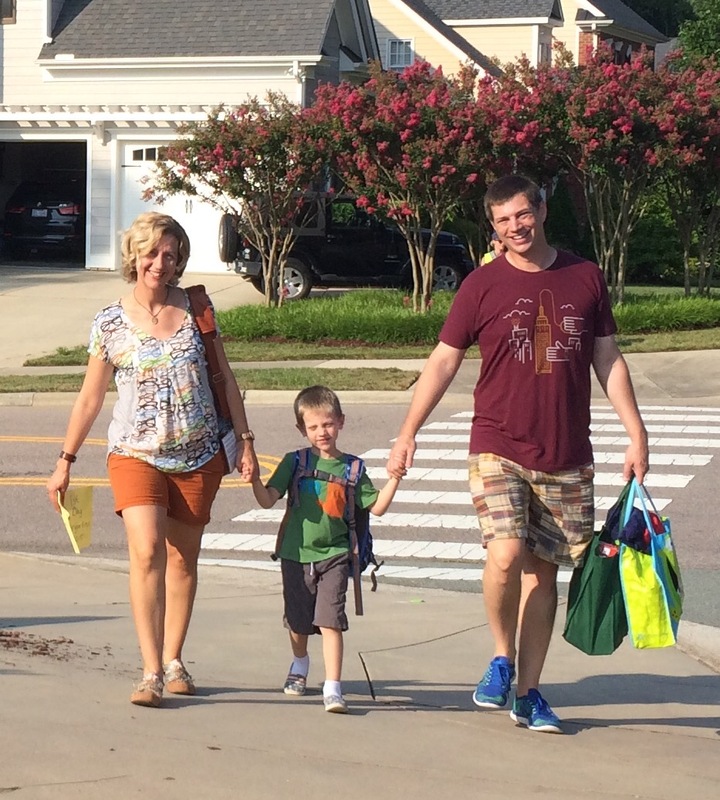 Friday was my last day EVER of preschool. I didn't care; Mommy was a bit sad. The right clothes for the game. 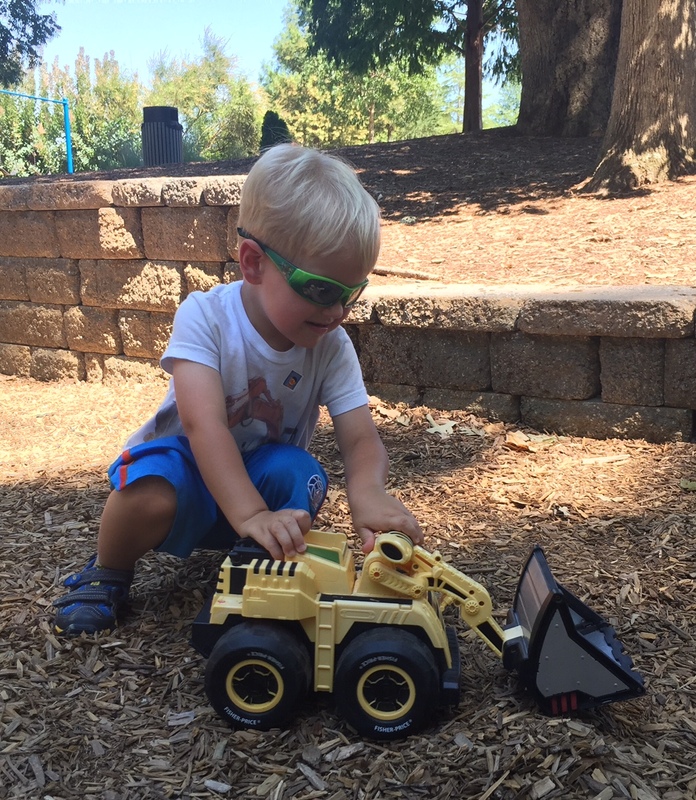 Trucks and digger time at the park.